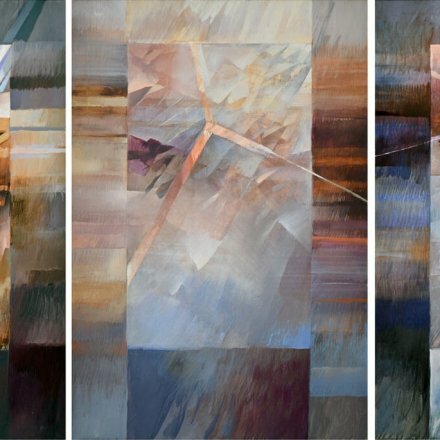 “Journey” Triptych Painting, Modern Abstract Art, Acrylic on Canvas. Each piece measures 62″ x 43″. “Journey” Triptych Painting (3 panels), Modern Abstract Art, Acrylic on Canvas.